With any electrical installation, there are electrical codes that must be followed.​ Outdoor electrical installations are no different. Because outdoor light fixtures may be exposed to all sorts of weather conditions, they are designed to seal out wind, rain, and snow. Most outdoor fixtures also have special protective covers to keep your light working in adverse conditions. 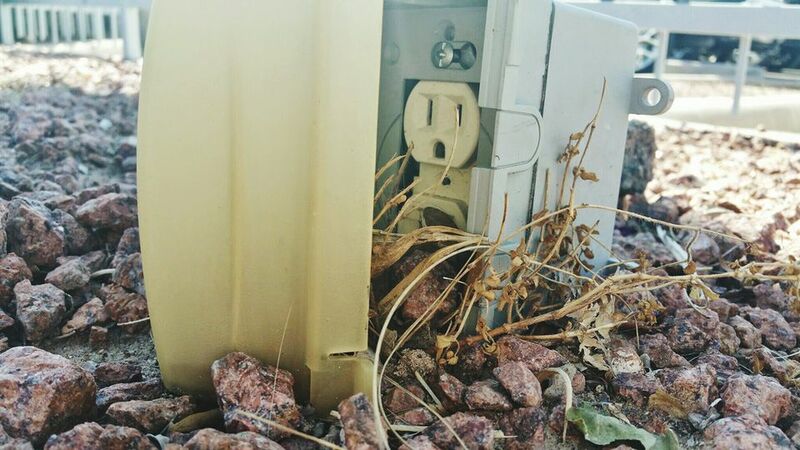 Receptacles that are used outdoors must have ground-fault circuit-interrupter, or GFCI, protection for safety. GFCI devices automatically trip if they sense an imbalance in the circuit that may indicate a fault to ground, which can occur when electrical equipment or anyone using it is in contact with water. GFCI receptacles are used in wet locations, including bathrooms, basements, kitchens, garages, and, of course, outdoors. Outdoor receptacles—the official name for standard power outlets—include those mounted to exterior house walls as well as on detached garages, decks, and other outdoor structures. Receptacles also may be installed on poles or posts in a yard. All 15-amp and 20-amp, 120-volt receptacles must be GFCI-protected. Protection may be provided by a GFCI receptacle or a GFCI breaker. One receptacle is required at the front and rear of the house and at a maximum height of 6 feet 6 inches above grade (ground level). One receptacle is required within the perimeter of each balcony, deck, porch, or patio that is accessible from the inside of the home. This receptacle must be mounted no higher than 6 feet 6 inches above the walking surface of the balcony, deck, porch, or patio. All 15-amp and 20-amp 120-volt nonlocking receptacles in wet or damp locations must be listed as weather-resistant type. Outdoor receptacles must be installed in special electrical boxes and have special covers, based on the installation type and their location. All surface-mounted (or "flush-mount") boxes must be listed for outdoor use. Boxes in wet locations must be listed for wet locations. Metal boxes must be grounded (same rule applies to all indoor and outdoor metal boxes). Receptacles installed in damp locations (such as on a wall that is protected overhead by a porch roof or other covering) must have a weatherproof cover that is approved for damp locations (or wet locations). Receptacles located in wet locations (unprotected from rainfall) must have an "in-use" cover rated for wet locations. This type of cover protects the receptacle from moisture even when a cord is plugged into it. Requirements for outdoor lighting are straightforward and are primarily intended to ensure safe and easy access to the home. 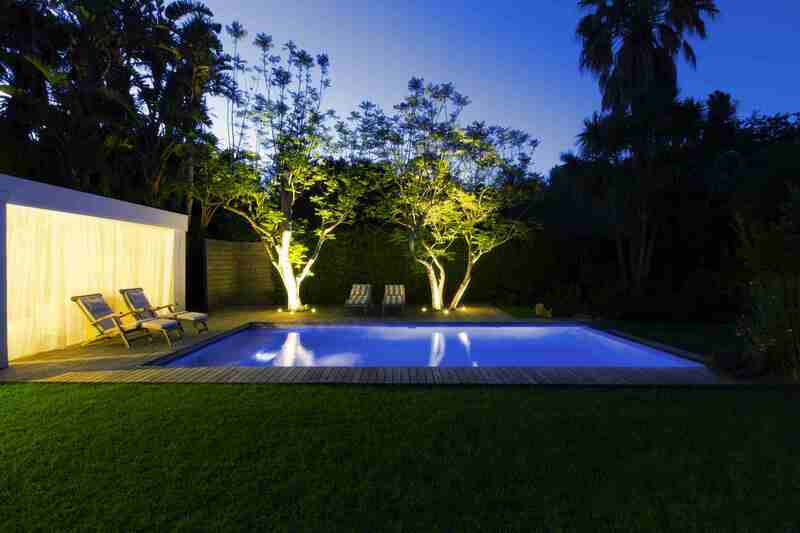 Most homes have more outdoor lighting than is required by the NEC. The terms "lighting outlet" and "luminaire" used in the NEC and local code texts generally refer to light fixtures. One lighting outlet is required on the exterior side of all exterior doors at grade level (first-floor doors). This does not include garage doors used for vehicle access. A lighting outlet is required at all garage egress doors. Transformers on low-voltage lighting systems must remain accessible. Plug-in-type transformers must plug into an approved GFCI-protected receptacle with an "in-use" cover rated for wet locations. Outdoor light fixtures in damp locations (under the protection of a roof or an eave overhang) must be listed for damp locations (or wet locations). Light fixtures in wet locations (without overhead protection) must be listed for wet locations. Circuit cables serving wall-mounted receptacles and light fixtures can be run through the wall and use standard nonmetallic (NM) cable, provided the cable is in a dry location and is protected from damage and moisture. Receptacles and fixtures that are away from the house typically are fed by underground (direct burial) circuit cable. Cable in wet areas or underground must be underground feeder (UF-B) type. Buried cable must be protected by approved conduit from a depth of 18 inches (or the required burial depth) to 8 feet above the ground. All exposed portions of UF cable must be protected by approved conduit. Openings where UF cable enter conduit must include a bushing to prevent damage to the cable. What Is an Arc Fault and What Causes It? What Are the Fundamentals of 240/250-volt Air Conditioner Circuits? What Are the National Electrical Codes for Bathrooms?